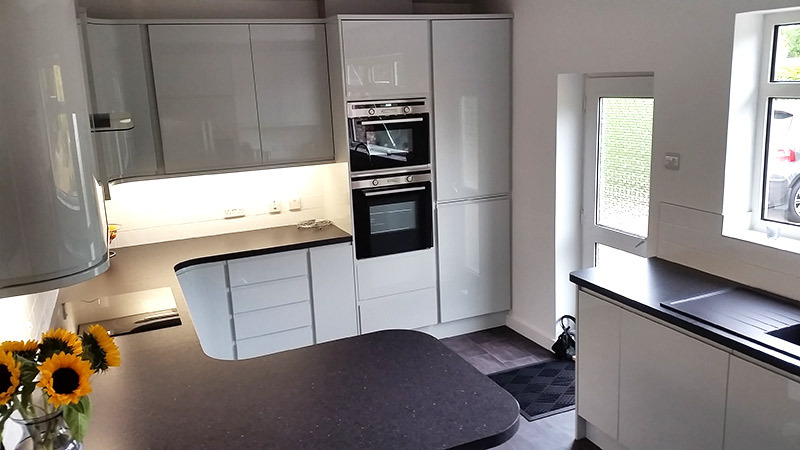 We recently supplied, designed and fitted this gorgeous ‘Jazi’ kitchen from Mak in a light grey gloss. 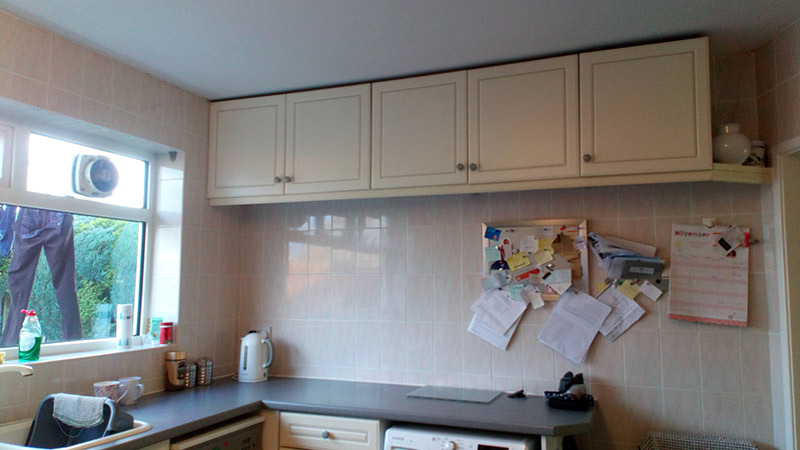 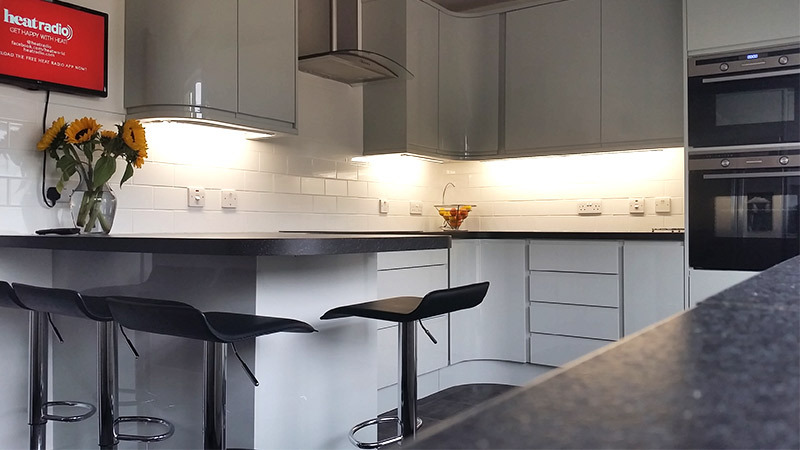 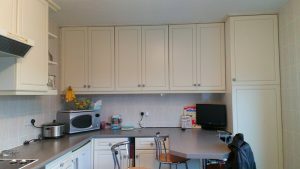 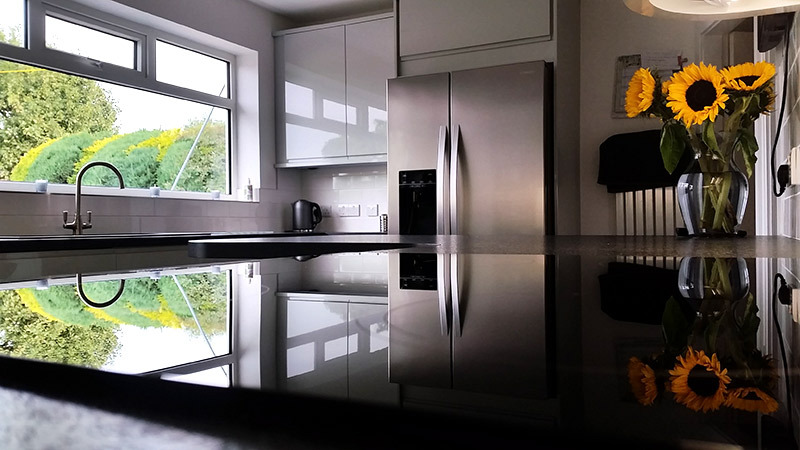 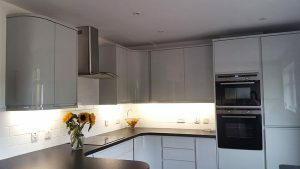 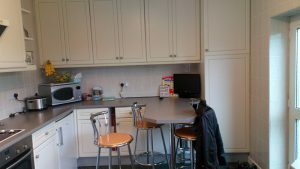 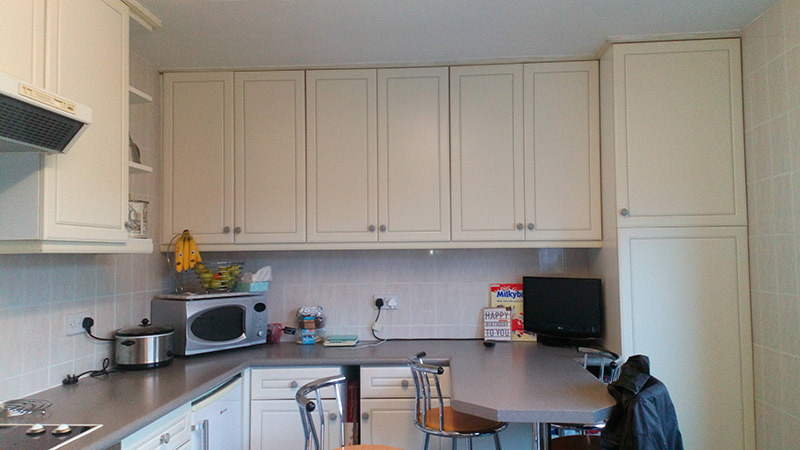 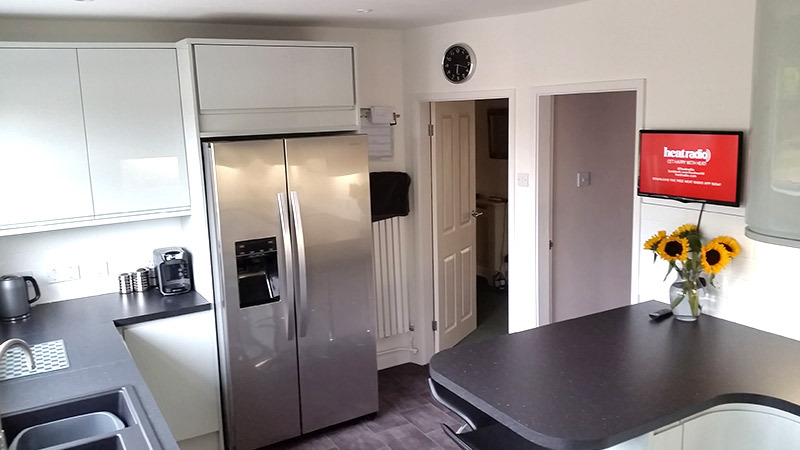 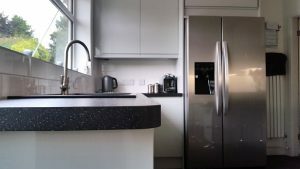 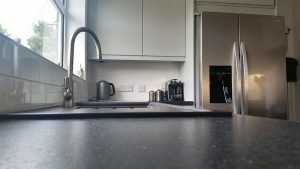 The brief was to modernise the space whilst retaining the large amount of storage in the existing kitchen. With this in mind, a key requirement was to incorporate tall wall cupboards to mirror the storage space available previously. 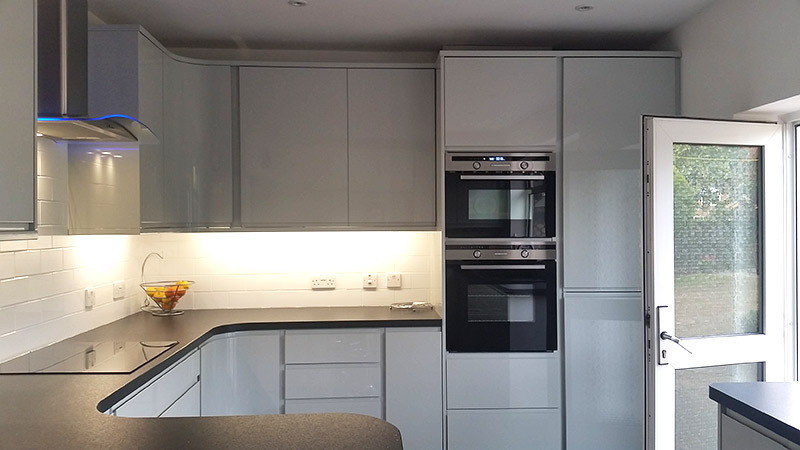 Clever lighting was used to give the room a more spacious, modern look. 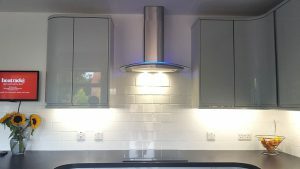 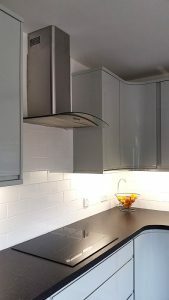 Under-unit lighting was used to illuminate the fresh white tiles, and blue lighting was inserted around the edge of the extractor fan to add a contemporary feel. Curves were used to create an organic and flowing feel for the new kitchen. 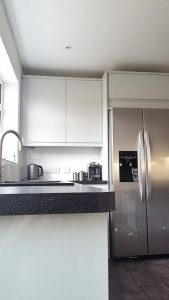 Removing the square corners from the worktop surfaces created more space and provided a sleek result. 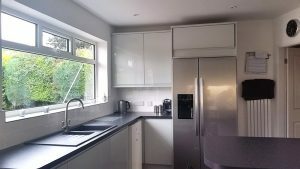 Another major element of the new design was a change to the layout of the kitchen. Previously, the breakfast bar was located directly behind the entrance door. 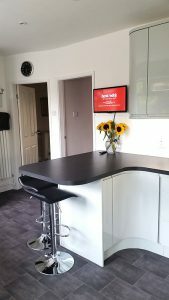 In order to create a more user-friendly space, the breakfast bar was moved to the other end of the kitchen, freeing up room around the bar and the door. 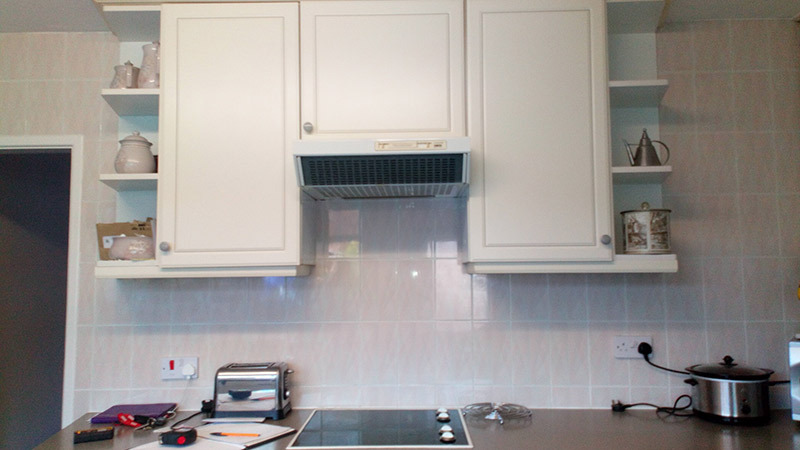 Finally, new appliances were added to the kitchen, namely a large free-standing fridge freezer. See more transformations on our news page, or visit our gallery for ideas and inspiration. 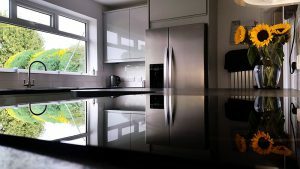 If you’re looking for a bespoke new kitchen please don’t hestitate to get in touch, or to visit us in Navenby, LN5 0BQ.